Samsung Display is selling entire Cheonan Gen.5 LCD manufacturing facilities’ L5 equipment to Chinese business, and Trulywill be the most likely business to buy it. With fund that Samsung will receive from selling its facilities, Samsung is going to expand OLED production lines and will change L5 facilities to OLED production lines. According to industries on the 12th, Samsung Display had finished its plan on business investment and is planning to confirm on detailed investments by having a meeting for board members shortly. Because of this, Samsung Display stopped operating its L5 production lines at the end of last month. Samsung Display’s L5 facilities had been producing medium and small-sized panels for monitors, laptops, 32-inch TVs and others with its production scale that produces 100,000 to 120,000 sheets per month. However it was having a difficulty to secure profitability as Chinese LCD businesses have been increasing their production volumes of medium and small-sized panels. While Samsung Display is gradually decreasing production volume of medium and small-sized panels, it is reorganizing its business tactic towards 40-inches or bigger LCDs that have high rate of return. It is planning to change L5 lines to OLED, which recently has a lot of demands for, and expand supply of mobile OLED. A reason why Samsung Display is extending its OLED lines is because its negotiation with Apple about supplying OLEDs has been progressing rapidly. It is heard that Samsung Display is recently having a negotiation with Apple about supplying OLEDs for iPhones. If it accomplishes a contract with Apple, it is highly likely that Samsung Display will consider about building lines exclusively for Apple’s OLEDs. 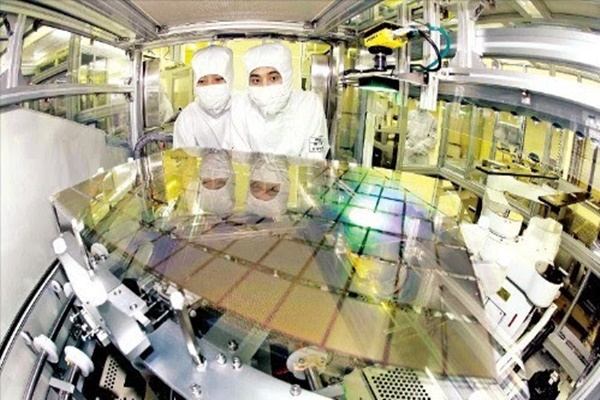 Japan Display decided to construct new Gen. 6 Flexible LTPS OLED facilities after receiving $1.72 billion (2 trillion KRW) for 3 years by Apple in May. “Even if Samsung Electronics extends its A3 OLED Line that is currently operating, it will not be able to meet all of Apple’s supplies.” said a person from display industry. “However because it will be able to solve this problem if it operates lines exclusively for Apple, it is currently examining a method about preparing new OLED Lines by receiving certain amount of fund from Apple.” There is a high chance that L5 facilities will be used for Apple. Apple had been receiving LCDs for iPhones from LG Display, Japan Display (JDI), and Sharp. Some are predicting that Samsung Display can emerge as Apple’s biggest display supplier surpassing LG Display if it builds lines for Apple. It is because amount of Flexible OLED’s supplies that are currently being negotiated is 30% more than LG Display’s. Although Samsung Display is in a process of adjusting final supplies, it already initiated its business with Apple by supplying OLED panels for Apple Watch and a fact that it received high praise after supplying large quantity to Chinese Smartphone manufacturers recently will be advantageous for Samsung Display. While Chinese display competitors had been investing aggressively into huge LCD and OLED production lines, Samsung Display had been putting off its decision on investment due to financial burden from expensive investments. Also since price of panels was decreasing due to oversupply, it was not easy to make a decision on investment. However as Chinese businesses such as BOE having a groundbreaking ceremony for Gen 10.5 LCD Lines next month and major businesses such as China Star (CSOT), Ever Display and others planning on large-sized investments for OLED began to visualize movements of aggressive extension of facilities, it could not hold out its decision on investment any longer. Copyright © The Electronic Times Corp. & The Electronic Times Internet Corp. All Rights Reserved.